According to the Department of Labor’s Bureau of Labor Statistics, nearly three million American workers were injured on the job in 2014, and nearly 5,000 employees lost their lives to a workplace accident. The Law Office of Gary W. Fillingim in Mobile helps injured Alabama workers get the medical care and compensation they need to recover from their injuries and get back to work wherever possible. 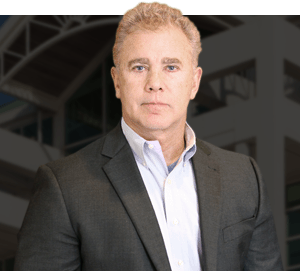 Attorney Gary Fillingim and his team represent Mobile employees in the process for obtaining Alabama workers’ compensation benefits, as well as pursuing third party liability claims where appropriate. For most on-the-job injuries, the exclusive recourse for the worker is to file a workers’ compensation claim. Workers’ comp benefits cover medical expenses and also provide the employee with two-thirds of his or her wages during the period of disability. The Law Office of Gary W. Fillingim maintains an active Alabama Workers’ Compensation practice and can help you obtain benefits if your claim is disputed or denied. You are on the road running errands for your boss, picking up supplies, making deliveries or driving to another work site, when you injured in a car accident caused by a negligent or distracted driver. You are working off-site on the premises of a third party (such as making deliveries, installing equipment, or performing construction work), when you are injured in a slip and fall due to a dangerous condition on the premises. You are injured at work by a faulty piece of equipment, machinery or other defective product that was defective at the time it left the manufacturer. These are just some of the ways that a party may be legally responsible for your injuries, even though they occurred on the job. In these cases, you may be able to file for workers’ compensation benefits while also pursuing a personal injury claim against the responsible party. The Law Office of Gary Fillingim can help you pursue both avenues for compensation. We have decades of experience in both civil lawsuits and workers’ compensation claims, and we will do what we can to see that you are fully compensated for your workplace injury. For any type of workplace injury in Mobile, Baldwin County, or along the Alabama Gulf Coast, call the Law Office of Gary W. Fillingim, L.L.C. at 251-445-7257 or contact us online for a no-cost consultation and thorough look at all of your potential claims.